Do you have huge house ppiders running across the floor when you watch TV? 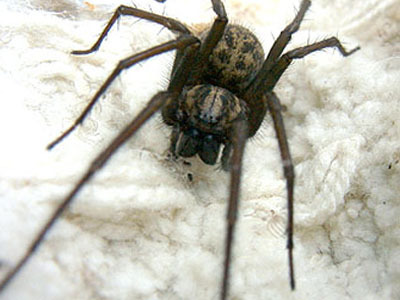 Some people can live with Spiders, to others they are the worst of nightmares and fear of them can ruin lives. To get rid of Spiders, you can either kill them, trap them or use a powerful ultrasonic spider repeller to move them away. 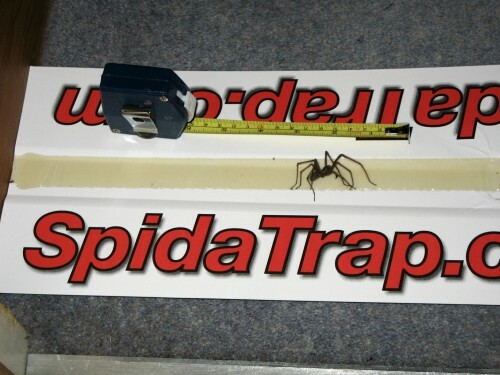 The spider traps (Spidatrap) are very, very effective. You simply place a few of them on the floor, preferably where spiders hide in dark places under beds and sofas etc, and if you have spiders in the house, they will get caught. The ultrasonic spider repeller works by creating an environment that spiders simply can not tolerate being in. 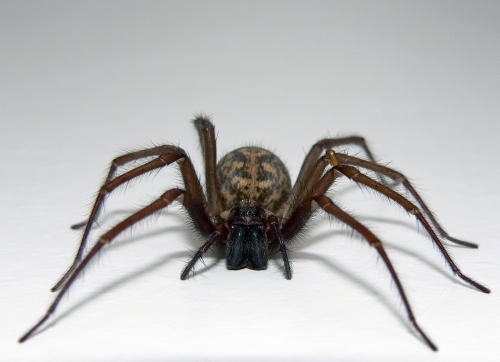 It does this by using fluctuating ultrasonic & electro-magnetic waves to help keep your home free from spiders. The spider repeller emits high frequency sonic waves that cause so much annoyance to your four (or 6 or 8!) legged intruders that they'll beat a hasty retreat. Female house spiders are 9-10mm in size, and males are 6-9mm (not including leg span). They are brown and hairy with long legs. The leg span of this spider can reach up to 60mm (over 2 inches). Males have a slimmer abdomen and longer legs. 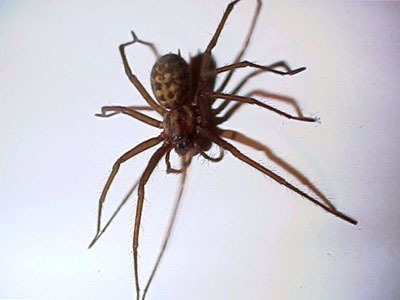 House spiders are often seen in and around houses and gardens. They are most common in log piles and garden sheds. After a male has located a females web he will stay with her for some weeks. During this time he will mate with her a few times before eventually dying. The female does not kill the male, but after he dies she eats him. In this way, the male can contribute to the health of his offspring even after his death.